Environmental toxicology is the study of the action of chemicals upon ecosystems. Understanding the effects of exogenous chemicals upon the inhabitants of an ecosystem may enable us to predict and possibly prevent their deleterious effects. 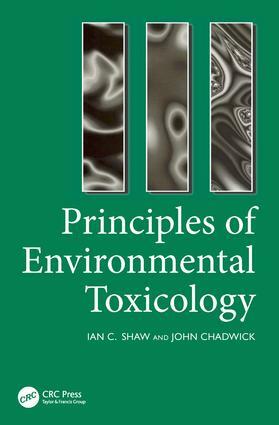 This textbook provides a good general introduction to all the major areas of environmental toxicology, including the fate of chemicals in the environment, environmental toxicity testing, risk assessment, radioactivity in the environment, legislation, environmental monitoring and the future impact of industrial development on the environment. It is written in an informal, accessible style with many examples of environmental issues taken from the author's personal experience and will provide students and other interested individuals with a broad overview of the science of environmental toxicology. Part 1 Chemicals and the environment: historical review - environmental toxicology in Roman times, lead and tin mining, the Industrial Revolution, the 20th-century, development of safe chemicals; food webs - the concept of the food web in the context of environmental toxicology, trophic levels, energy transfer, primary producers, specific examples; risk versus benefit. Part 2 Assessing chemicals for use in the environment: introduction - the scope and limitations of testing; prediction of toxicity; the use of models to represent aspects of the environment; interpretation of toxicity tests. Part 3 Environmental monitoring: the principles of environmental monitoring; analytical techniques. Part 4 Man and the environment: introduction; assessment of risk to man; exposure of man to environmental chemicals. Part 5 The fate and behaviour of chemicals in the environment: distribution; decomposition. Part 6 Radioactivity and the environment: introduction; power stations; war; monitoring. Part 7 Legislation: the need for legislation; environmental laws. Part 8 A green future - how have things changed since Rachel Carson's silent spring in 1962? Ian Shaw is Professor of Toxicology and head of the Centre for Toxicology at the University of Central Lancashire, UK and visiting consultant toxicologist to the Royal Preston Hospital. He has broad research interests ranging from the cellular toxicity of free radicals through to plutonium biochemistry and is Chairman of the UK Government's working party on pesticide residues. John Chadwick is Head of the Environmental Sciences Section of HSE's Health Divisions Chemical Appraisals Unit and is a member of a number of government expert environmental groups including the Advisory Committee on Pesticides Environmental Panel. He is responsible for environmental risk assessments associated with the revision of existing, and registration of new, agricultural pesticides.